Kenna's work has successfully explored the realm of twilight in a way that no other photographer has. His images--filled with deep shadows and graphic forms--evoke mystery and realms just beyond perception. His subject matter ranges from gardens and forests to industrial sites and statues, often photographed at night. 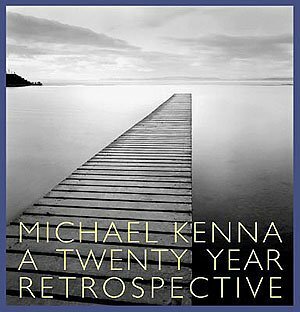 The first edition of Kenna's classic "Twenty Year Retrospective" was published in 1994 and subsequently underwent three separate printings before going out-of-print. This new edition is slightly larger in format and now has 1:1 reproductions.